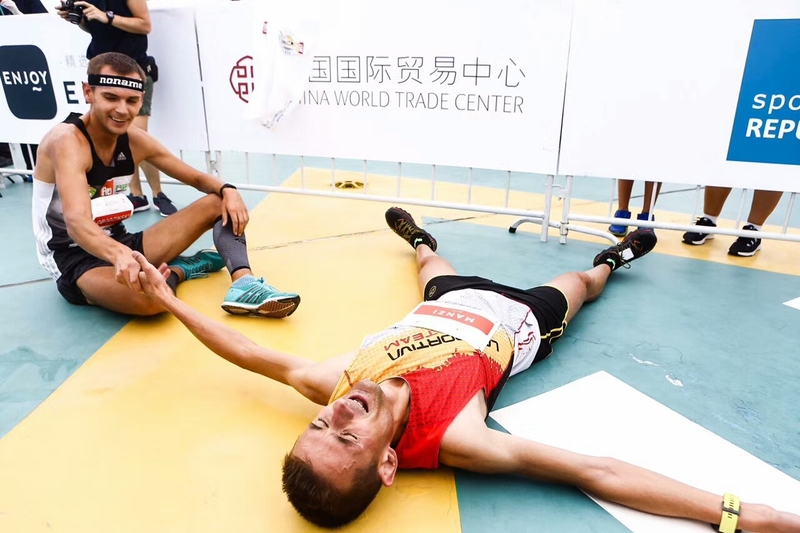 Beijng, China, hosted the sixth stage of the ten-race Vertical World Circuit, Saturday, August 26 at the China World Summit Wing Beijing Vertical Run, where more than 900 runners stormed up the up the 2,041 steps to the rooftop finish line towering 330m above the city. 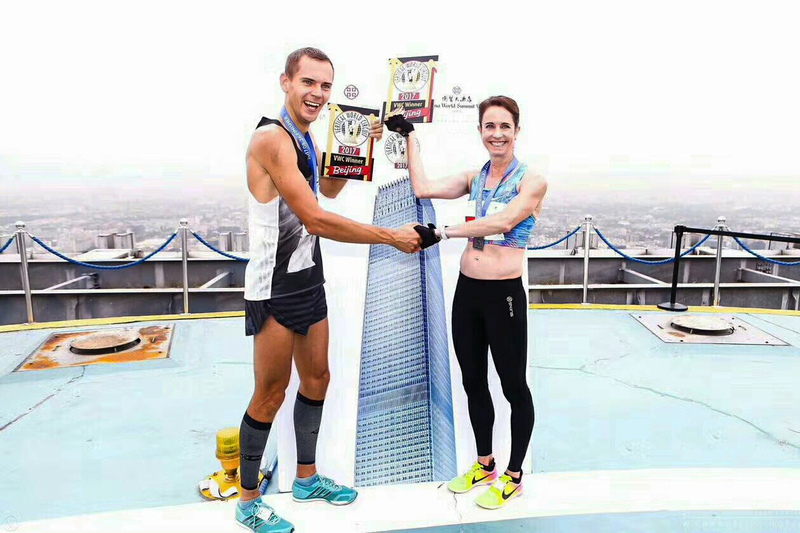 Vertical World Circuit champions Suzy Walsham from Australia and Piotr Lobodzinski from Poland proved their invincible prowess yet again by summiting the tower in the fastest time. Lobidzinski closed in 10’06”, 18” short of the course record he set in 2016. Second man Lianglisng He from China, in 10’39” and, also from China, Hongpeng Hao, third, in 10’51”. Walsham won comfortably in 12’07”, although 21” off her own 2013 record. China’s Linming Chen placed second in 13’09” and American Kathryn Logan was third 14’32”. Lobodzinski continues to dominate the Vertical World Circuit rankings after five straight wins, followed by Belgian Omar Bekkali in second position and Germany’s Thomas Dold in third. Likewise, Walsham has five wins under her belt to lead the rankings, followed by Italian Cristina Bonacina, celebrating her 100th tower race here. From the Czech Republic, Lenka Svabikova is ranked third. 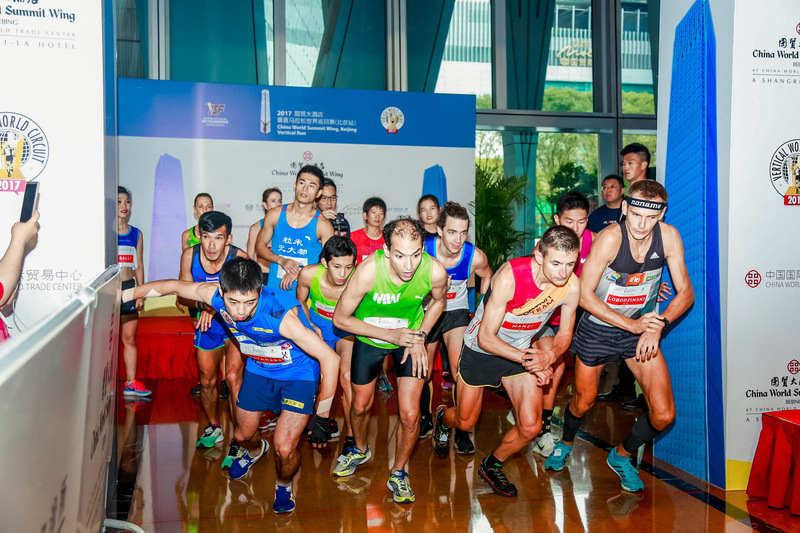 Sponsors and partners of the 2017 China World Summit Wing, Beijing Vertical Run include China World Trade Center, China World Mall, Qatar Airways, Shangri-La Hotel, Doha, 5100 Tibet Spring, Playerlayer, Hong Kong International Medical Center and Sporting Republic, race organisers. 100% of proceeds from race entry fees were donated to the official charity U-Life (www.ugongyi.org). Governed by the International Skyrunning Federation, Beijing’s tallest vertical run was selected as Official Race for the 2017 Vertical World Circuit (VWC), the world’s premier skyscraper racing circuit uniting some of the most iconic skyscraper races, including the One World Trade Center in New York City. 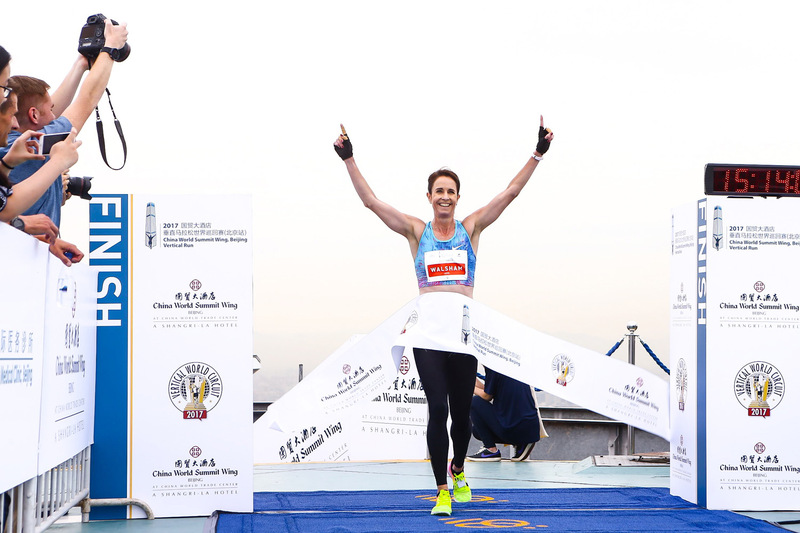 Next stop on the circuit is in Sydney on August 27, followed by Shanghai, new venue Osaka and the grand finale in Hong Kong on December 3 at the SHKP Vertical Run for Charity: Race to Hong Kong ICC where the World Champions will be crowned and the VWC end of season bonus prizes totaling 106,000 HKD will be awarded.